Brush Clearance | Arboristas, Inc.
Southern California is experiencing its worst drought in more than a millennium. Not only is the drought bad for crops and lawns, it’s also a serious potential fire hazard and the Los Angeles County Fire Department as well as other fire departments have brush clearance requirements for all residents and businesses in California. Removing brush piles is time consuming and difficult. Clearing and cutting underbrush, such as small trees and briers, is a pain. Why mess with it? Arboristas will take care of all your brush cutting, clearing, and removal needs. We have the equipment and trained personnel necessary to knock out any sort of brush cutting, clearing, and removal project. Contact us today for a free estimate. We will send one of our ISA Certified Arborists to meet with you. 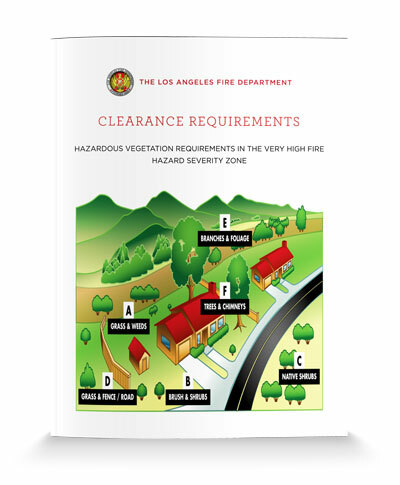 Below are the LAFD requirements. A. All grass and weeds within 200 feet of a structure shall be cut and maintained to a maximum height of 3 inches. B. Native brush/shrubs shall be trimmed up from the ground ⅓ their height and have a minimum separation of 18 feet from any structure and other native shrubs. C. Native shrubs shall not be planted within 10 feet of a combustible fence or roadway edge. D. Maintain all grass and weeds within 10 feet of a combustible fence or edge of roadway to a maximum height of 3 inches. E. Branches/foliage shall be trimmed up 5 feet from any roof surface. F. Branches/foliage shall be trimmed back 10 feet from outlet of the chimney. Including all of Los Angeles County, Orange County, Riverside County and the counties of Inland Empire, Antelope Valley, Kern, Ventura and Santa Barbara.